9) Looking to Motivate Kids Toward Missions? This Stand4Kids page is run by Pioneers and it includes many of the great things that Caleb Project developed during its best days. They’re trying to “ignite and equip believers to engage children as recipients of and participants in the gospel of Jesus Christ.” Good stuff. You can go to the people on God’s heart. Students and faculty of sponsoring Colleges and Universities do not have to pay registration. The registration fee will be refunded to those who become part of the Aquaculture International Team. If you do not learn more than you have in any lengthy course that you have ever taken, your registration fee will be refunded in full. Teen Missions challenges, trains and disciples young people, exposing them to worldwide missions. A large number of our former alumni are in full-time Christian ministry serving the Lord worldwide as pastors, teachers, Christian authors and missionaries. Director and founder Robert M. Bland is a former Youth for Christ director from Ohio and past recruitment director for Christian Service Corps. WHAT’S THE RATIO OF YOUTH WORKERS TO YOUTH IN THE FIELD? WOULD YOUR CHURCH CONSIDER A ONE-TIME GIFT TO SPUR ON BRIGADA? ATTEND REGIONAL MOBILIZATION MEETINGS (SAMPLE IN PITTSBURGH) — Are you located in the Pittsburgh area? Here’s a sampling of a couple of major missionary mobilization meetings you can attend. Wouldn’t it be cool of there were more of these kinds of meetings all around the world? As for Pittsburgh, “The Pittsburgh Network for the Great Commission” Breakfast meeting is about to cover “Native American Awareness.” The’ll also interview a Cuban Pastor, all on Saturday, Oct.13,2007, 8:30- 10:30am at West Ridge Community Church. The best part? It’s all free. where over twenty such projects are developing. And click “Comment” below the item. Thanks! Thanks to the Kingdom Come Training worker who gave $20. May God bless their training outreach for His glory. Finally, may God bless the radio ministry workers who just sent $100. We’re so thankful for their love for you, for your work around the world, and for getting the message out via radio. WOULD YOUR CHURCH CONSIDER A ONE-TIME GIFT TO SPUR ON BRIGADA? — Here’s how: Just click on the “Donate” page. You can pull the money from your PayPal account or from any major credit card. Or if you prefer, send a check payable to Team Expansion to: Team Expansion (Brigada secretary), 13711 Willow Reed Dr., Louisville, KY 40299. (Team Expansion is a 501(c)3 incorporation so for USA citizens, your checks made out to Team Expansion are tax-deductible.) As always, be sure to let us know if you’d like us to promote any particular service or ministry, or if you’d prefer your gift be anonymous. And thank you in advance for helping. THE BACK PAGE: EXPLORE, DREAM, DISCOVER — This past weekend, I was fortunate to have the privilege of leading a couple of sessions for some adult children of missionaries (MKs). One referred to a quote by Mark Twain about sails. I looked it up when I got home. Twain was reported to have said, “Twenty years from now you will be more disappointed by the things that you didn’t do than by the ones you did do. So throw off the bowlines. Sail away from the safe harbor. Catch the trade winds in your sails. Explore. Dream. Discover.” It’s important to note that no one can find the source of this quote, so it’s likely that Mark Twain never actually said it. Regardless of who said it, it got me thinking. When it comes to mobilizing missionaries, we haven’t talked much about discovery and adventure — even though much of evangelistic missionary work involves it. I think it’s because we’re afraid we’ll breed only missionary-tourists. But there is a sense in which the pioneer spirit is not only preferred, but actually *required* by some missionary opportunities. Some call it an “apostolic gift.” Call it what you want, but when Paul forged on through shipwrecks & stoning, the truth is, he was pioneering. When he believed so strongly in the Cause that he traveled on foot throughout the known world of his day, he was pioneering. Paul’s musing about going where no man has gone before (Romans 15:20) is enough to cause me to believe Twain was on the right track. We probably need to talk some about adventure, dreaming, thinking big. We need some big thinkers today. Thinkers that will dream, then *do*. After all, Twain also is reported to have said, “There are basically two types of people. People who accomplish things, and people who claim to have accomplished things. The first group is less crowded.” That’s all I’ve got to say about that. GOT FEEDBACK ON THE MANNACARD? HEARD ABOUT MICROCREDIT? — One anonymous Brigada reader encourages you to give it a try providing “Microcredit” to small businesses in the developing world so that they can better their economic situation and thus come out of relative poverty. These may not be Christian organizations, but they may allow Christians to express love while making contacts in unreached parts of the world in order to gain an opportunity to live and share the Gospel in the long (or short) term. The Brigada participant emphasized that he had not fully reviewed any of the sites so he encourages all of us to read everything before making any commitments. CHECK OUT THIS FREIGHT SWITCHBOARD — According to one anonymous Brigada participant, you don’t have to call multiple carriers or check multiple Web sites to gather rates and service information. Freightquote.com has already done it for you! Their online solution needs only a few pieces of information from you, and then it returns a complete menu of options. You choose the carrier, service, and price that best fits your need. Then book, track, and manage all your shipments in one place-through your secure Freightquote.com account. According to this user, their system is fast, easy, and free to use. IS YOUR HAND-WOUND CASSETTE PLAYER FLYING OFF THE HANDLE? you will be helping to support Brigada! In addition to this plan, coverage is available for any international need – short-term trips, career missionaries, trip cancellation, short-term teams and term life insurance. Find it all and more at the site above. GNPI is seeking to challenge kids to get involved in missions through prayer and thinking of creative ways they can help raise funds for missionaries and nationals who are working to take the Gospel to those who have never heard. These kids may also grow up to be workers in God’s harvest field (Matthew 9:37-38)! TENTMAKING COURSE IN VICTORIA BC CANADA — Learn more about tentmaking and using business as mission as a platform for ministry in the hard places. GLOBAL Opportunities and TENT Norway have developed a successful course model that will challenge and equip people from all walks of life for effective ministry skills. Read what former students are saying about the course on their website and then rush to register, as each year they must limit the number of people who can attend. Already this course is 30% booked. GO ahead, join them on July 5-8, 2007. UPGRADE TO “PACKING MODULARLY” — A missionary to Japan improved on my suggestion to pack modularly (Apr. 13th edition, BackPage “missions travel tips/tricks, tool #13). She suggested packing a separate bag for each day, with all the changes of clothing one needs for that day inside the bag. That way the traveler can just grab a bag and go. It’s a good improvement on my tip. HATS OFF TO OUR BEST FRIENDS; MAKE A STATEMENT TO BRIGADA — Thanks to the anonymous donor from Equip, Inc.
who gave $150 this past week to undergird Brigada! Want to give a gift to cover for some young missions recruit who can’t afford to give? Just click on “Sponsor/Donate” in the top menu (to use PayPal or a credit card), or if you prefer, send a check payable to Team Expansion to: Team Expansion (Brigada secretary), 13711 Willow Reed Dr., Louisville, KY 40299. (Team Expansion is a 501(c)3 incorporation so for USA citizens, your checks made out to Team Expansion are tax-deductible.) As always, be sure to let us know if you’d like us to promote any particular service or ministry, or if you’d prefer your gift be anonymous. And thank you in advance for helping. THE BACKPAGE: 3 GUYS RUN NORTH AFRICA — Did you happen to follow the story about the 3 guys who ran (yes, on foot) across North Africa? Charlie Engle, Ray Zahab, and Kevin Lin needed exactly 111 days to cross the entire Sahara Desert on foot. They stated on the beach in Senegal and then made their way through Mauritania, Mali, Niger, Libya, and Egypt all the way to the Red Sea. They faced desert temps, cold nights, sand in their eyes, dysentery, plus all the usual stuff associated with running the equivalent of two marathons per day for over 3 months straight. Gulp. Why do these guys run? I tried to track down a good cause at their respective websites. Maybe it was to make a case for clean water, like they said. (Personally, that just seems like a stretch for me.) Somehow, it just seems more likely that they run because of the challenge. You know, like the mountaineers say, “Because it’s there.” And maybe a bit because they *can* run. They probably *have* to run. They’re compelled to run by a force as indescribable as the life that courses through their veins. Either way, the question remains, what about you? What do you *have* to do? We’re always stirred when we hear about an Olympic athlete who competes for the sake of a sister with polio, or a scientist who works like crazy to find a cure to the disease that killed her husband, or the wealthy businessman who gives a million dollars to a cause that his deceased wife held dear. So what stirs you to action? What drives you to stay up and finish a job? I wish we could recreate this kind of marathon-like commitment to finish the cause of world evangelism. Can you imagine if every believer in every local church would care so deeply about getting the gospel to the ends of the earth? There are so many competing forces, the chief of which is apathy itself. Either way, we’d better find a way to wake up the senders to the marathons that lie before us. We’d better find a way to stir go-ers into action, and givers into obedience. If there’s even one believer in your local church who still doesn’t tithe, we’d better find a way to reach him or her, then mobilize those new funds for the sake of the gospel — around the block, and around the planet. Only then will our marathon go-ers have the resources to beat the next sandstorm, or survive the next dry stretch. Only then will their listeners hear the truth that changes eternal destinies. Only then will the God of the ages be glorified in the way He desires. Only then will we complete our purposes here on this earth. And the 2nd coming will happen. And then we’ll never thirst again. And we’ll reach a final rest that’s worth the run. Until then — lace up. It’s a new day. LAUNCHING A CHURCH PLANTING MOVEMENT AMONG AN ORAL CULTURE? DO YOU PLACE OVERSEAS CALLS FROM YOUR USA-BASED CELL PHONE? You can also get more information on these tools by calling 800-457- 4674 and asking for Amber. Information about the International workshops can be obtained by writing to director(at)mediachallenge(dot)org. [As a means of preventing spam for our contributors, in the preceding email address(es), please replace (at) with @ and (dot) with .] Churches and missionaries who would like to host and/or sponsor an international workshop are also encouraged to contact the director, Bob Sartoris, at the address above. If you’d like to be involved in the workshops this summer, better hurry. There’s an end-of-March deadline coming up quickly. If you have something you think should go in an encyclopedia about missions – an article about a country, a people group, a province, a city, a denomination, a ministry, or what have you – then now is the time for you to step up to the plate and participate. or call 800-959-3523 (Tom Telford) or 410-561-8424 xt 210 (Joe Steinitz). where organizers seek to cater to those involved in missions and outreach and have many non-verbal dramas among the 1600+ scripts in their database. DO YOU PLACE OVERSEAS CALLS FROM YOUR USA-BASED CELL PHONE? — If so, check out Nickel Talk, if you haven’t already. It’s pretty straight-forward — 5 cents per minute, with no connect fees, on all mobile calls to Europe, Latin America, Asia & Australia. No monthly fees, no prepayment, no contracts, no phone cards, no pins, and keep your existing service. What could be simpler? (Note that we’re not referring this to earn some kind of sponsorship or affiliate bonus. This is just one beggar telling another beggar where to get bread. UNIQUE OPPORTUNITY FOR VOLUNTEERS — OM Ship’s new vessel, the Logos Hope, is close to being ready for full-time service bringing knowledge, help and hope to the people of the world. They are looking for volunteers, who can join them for two weeks or more, to complete the last projects required to get the ship out of the shipyard. Volunteers are asked to cover their travel, health and insurance expenses but food and lodging after arrival are provided. LEARN A PRACTICAL SKILL FOR MISSIONS — Simplified dental care can open many doors to evangelism and relationship building among the unreached. No drills, injections, electricity, or sophisticated equipment are involved – only simple hand instruments, a compassionate heart, and two weeks of your time. Now you can bring greatly needed dental care to your community. Courses offered monthly in Texas. Note that you must use this link or *tell* them in order for the sponsorship to happen. Thanks! KEEP BRIGADA PUMPING — Want to help Brigada pump out weekly editions to mobilizers, church members and mission professionals around the world? Just click on “Sponsor/Donate” in the top menu (to use PayPal or a credit card), or if you prefer, send a check payable to Team Expansion to: Team Expansion (Brigada secretary), 13711 Willow Reed Dr., Louisville, KY 40299. (Team Expansion is a 501(c)3 incorporation so for USA citizens, your checks made out to Team Expansion are tax- deductible.) As always, be sure to let us know if you’d like us to promote any particular service or ministry, or if you’d prefer your gift be anonymous. And thank you in advance for helping. THE BACKPAGE: MANY MOURN, SOME MOBILIZE CALEB PROJECT/ACMC — This past week, I felt as if I were standing in a visitation line at a funeral home. Countless fellow-strugglers identified with last edition’s “BackPage” item about the passing of Caleb Project and CMC (and the associated “Initiative 360″ merger). One Brigada participant from San Jose, CA, wrote ” I, too, was stunned when I went to the i360 site and found that message. … I was especially concerned about them personally. … Let’s keep praying and pushing–can’t let the Devil have a good day!” A reader from Plano, TX, shared, “I read today’s issue of Brigada quickly when I saw the subject line. I was an advocate for ACMC since I can remember attending a conference in the 1970’s. Initially, individual members received a copy of every publication they created. … Why is it a surprise to you that ACMC had trouble making ends meet when it takes an entire year for you to raise $17K per year for Brigada? You are reaching how many people via email regularly? I will attempt to restrain myself from my soap box speech. 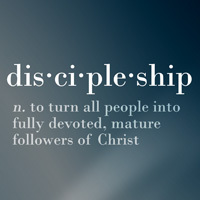 Everyone thinks that ‘someone else’ will support the ___ ministry. (And, I’m guilty of this also.) Thank you for your continued faithfulness to the Lord, and your efforts to help keep the global Christian community updated with Brigada.” This friend’s note reminded me how vulnerable… how fragile our respective ministries all are. We all need to constantly work hard to keep them fueled. Gulp. Throughout these and many other notes, there was one common theme — a flood of memories of all the great services these two incredible organizations had provided down through the years. Another theme: trying to make sense out of their passing. So far, there were few answers. However, all is not lost. Bravo to organizations like Pioneers and Team Expansion who are doing their best to provide options for former staff from both agencies. Pioneers, in particular, is trying to create a semi-autonomous working unit that would pick up employees and dreamers from both networks. Watch future Brigada Todays for more news as these and other developments unfold. And above all, keep praying for these precious — and hurting — souls. THE RESULTS: WHICH CAMCORDER IS THE BEST? See links there for more information. We’re all on the edge of our seats to see how this will shake out in practical details. Second, don’t assume you have to spend $3000 to get something that works for you. Bob, one of our good friends at Good News Productions (gnpi.org), recently looked at camcorders with a view toward high image quality, manual functions (for aperture, shutter, focus, white balance), ease of use for novices, external audio input, firewire port (for connection to computers), cost, and manufacture track record. Using these as our guide, we chose the Panasonic PV GS500, a 3 CCD DV tape camcorder for around $800. Interestingly, Brad, another Brigada participant, settled on a similar model, the GS-250, as his favorite. Bob pointed out that there are multiple options out there in terms of video recording formats (tape, disk, hard drive) and each has its own pros and cons, requiring the smart shopper to consider how and where the camcorder will be used. Also, some features that one camera user insists on having would intimidate others, as in manual controls versus total automation. Image quality ranges from small, single CCD (the image capture device) to 3 CCD models, multiple digital video formats, wide screen, high definition, and a host of other considerations in how different camcorders record the image. The bottom line is truly that you have to pay more for higher quality, so at some point the buyer has to set a limit and choose a camcorder that fits within the budget. The good news is that competition among manufacturers keeps the costs reasonable and the features constantly evolving into better bang for your buck. which offers encryption built-in from the server… and you can install an Outlook plug-in that let’s you access your Hushmail messages via Outlook, so you can compose offline and save online minutes (which is probably going to be important if you’re connecting via a remote dial-up). Finally, whatever you use, be sure to try it out in advance. The worst time to be experimenting is when you’re on the road already, under the gun. If at all possible, try out these connections in advance. Want to join them? Just click on “sponsor” in the top menu (to use PayPal or a credit card), or if you prefer, send a check payable to Team Expansion to: Team Expansion (Brigada secretary), 13711 Willow Reed Dr., Louisville, KY 40299. As always, be sure to let us know if you’d like us to promote any particular service or ministry, or if you’d prefer your gift be anonymous. In any case, thanks for considering Brigada in your estate giving, your monthly church missions fund, and/or your own personal giving for this calendar year. THE BACKPAGE: LEARNING FROM THE HOMETOWN OF “HOOSIERS” — You’ve probably seen the 1986 movie, “Hoosiers.” If not, it’s definitely worth the rental. Sites like ESPN and the American Film Institute frequently rave about it (#4 of the “Top 20 Sports Movies of All Time”, #13 on the list of the “100 Most Inspiring Films of All Time”). USA Today found it to be the best sports movie of all time. So over these next three weeks, I’d like to draw some lessons from my personal visit to the “hometown” of Hoosiers… the place where it actually happened. (You’ll actually get more out of these entries if you’ve seen the movie, so if you don’t mind, pick it up and review it again so the lessons will be fresh. Tune in next week, once you’ve done that, for more about my visit to Milan, Indiana, where the *real* Hoosiers story begins. 8. WANT TO LEARN ABOUT CHRONOLOGICAL BIBLE STORYING? 13. WORLD METHODIST EVANGELISM’S INT’L CHR YOUTH CONF. 15. COME TO PERTH, W. AUSTRALIA TO TRAIN AS A STRATEGIC COORDINATOR! 17. FLASH! ANONYMOUS DONOR GIVES $1,000 TO BRIGADA! 1. GREAT RESOURCE FOR INTERNATIONAL CALLS VIA CELL PHONES — Gotta make a cell phone call to another country? Get ready to mortgage the farm, unless — you’ve got Nickel Talk! Thanks to Donna for tipping us on this one… Check it out at… http://www.nickeltalk.com/ 5 cents per minute to some countries, 26 cents/min. to others, like Bosnia (but then again, it’s a verified $4.38/min. from our landline). No commission here. No affiliation fees. Just one beggar telling another where to find bread. 9. ANOTHER GREAT TOOL FOR MAKING LOCAL/LONG DISTANCE PHONE CALLS — While we’re on the subject of phones, don’t forget: http://www.lowermyphonebill.com/brigada is a great site to learn the best routes and carriers for phone calls. You’ll probably be able to save $10/mo. or more, depending on your use and call times. Thanks!!! 13. WORLD METHODIST EVANGELISM’S INT’L CHR YOUTH CONF. — Slated for July 19-26, 2005, in Teresopolis, Brazil, young people, ages 17-30, are invited to this conference to be hosted by the youth and evangelism leaders of the first Region Conference, the Methodist Church in Brazil. The conference is being planned around the theme, “That the world may know Jesus Christ!” as part of the World Methodist Evangelism Emphasis 2004-2006. Join young people from around the world at the 8th International Christian Youth Conference on Evangelism — the first time for ICYCE in South America! http://www.worldmethodist.org/youthevents.htm or email worldevangelism(at)scarrittbennett(dot)org or write: World Evangelism, World Methodist Council Scarritt-Bennett Center, 1008 19th Avenue South Nashville, Tennessee, 37212-2166 ,USA or call 1-615-340-7541 or Fax: 1-615-340-7549. 15. COME TO PERTH, W. AUSTRALIA TO TRAIN AS A STRATEGIC COORDINATOR! — The Strategic Coordinator Seminar is about planning and implementing evangelism, business and church planting among your favourite segment of society. It’s an intense 3-week seminar (13 November-2 December 2005) led by veteran missionaries experienced at implementing people- and city-transforming strategies. In the seminar you will create a working plan for the evangelization of your focus population; be it gothic youth in London, indigenous peoples of Australia, an unreached people group in Africa or a mega-city in Asia. If you want to see your church take a more active role in evangelizing your focus people through prayer, going and sending out missionaries; if you are a missionary who desires to see more prayer, people and finance on an international level directed towards your focus group, then this seminar is for you. Contact the Registrar: info(at)ywamperth(dot)org(dot)au or telephone +61 8 9328 5321 or fax +61 8 9328 1324 or log onto: http://www.ywamperth.org.au Please tell them you read about it in Brigada! 16. HELP THIS RESEARCHER LEARN ABOUT YOUR MOTIVES :-) — Here’s a researcher working on a private research project to benefit missionary candidates who are trying to determine what skills and experience are needed beyond Bible school for entry into pioneer evangelism and church planting ministry environments. He’s asking the Brigada community to participate in an anonymous poll online by going to http://www.Propempo.com and answering on the far right: “What best describes the business purpose for your presence in a limited access country?” There are six choices given: 1/ community development & relief; 2/ medical; 3/ tourism & travel; 4/ micro-economic or business development; 5/ education – ESL; 6/ other For those skittish about the online poll, they could email/phone him directly. He’ll share his results with those who ask for it. 17. FLASH! ANONYMOUS DONOR GIVES $1,000 TO BRIGADA! — Can you believe it? In this one fell swoop, this guy underwrites 1/16 of the total expenses we’ll need for an entire year’s worth of secretarial, web-hosting, communications, advertising, postage, and more! We appreciate you!!! Now here’s the challenge: Do you know of someone who might join this guy and also become of volunteer anonymous supporter!? If so, please step up to the plate! Bottom line: 13 more like this guy… and we’re done talking about it for a whole year! Thanks again to the anonymous friend!!! May God raise up more like you! If you’d just like to help Brigada, just click “sponsor” in the top menu (to use PayPal or a credit card), or just send a check payable to Team Expansion to: Team Expansion (Brigada secretary), 13711 Willow Reed Dr., Louisville, KY 40299. Thanks! As always, be sure to let us know if you’d like us to promote any particular service or ministry, or if you’d prefer your gift be anonymous. ONLY HAVE $25? ADDED TOGETHER, IT WOULD DO THE TRICK! GREAT TIP FOR WORD USERS: CALCULATE! ONLY HAVE $25? ADDED TOGETHER, IT WOULD DO THE TRICK! — Thanks to the anonymous donor who sent $25 this past week. So, if you were feeling bad because you can’t give a larger gift, just realize… if everybody pitched in together, it would go a long way toward helping us provide for the Brigada-sponsored secretary. Just log on to: http://www.brigada.org then click “sponsor” in the top menu, or just send a check payable to Team Expansion to: Team Expansion (Brigada secretary), 13711 Willow Reed Dr., Louisville, KY 40299. Thanks! As always, be sure to let us know if you’d like us to promote any particular service or ministry, or if you’d prefer your gift by anonymous. DIALING OVERSEAS? SAVE BUCKS; HELP BRIGADA — Are you in a place with high international phone rates? For the cheapest rates for many country-to-country calls worldwide, go to http://www.brigada.org/phone.html And thanks to our friends at Dial-Abroad for the $162 they sent as a result of Brigada users’ calls on their network during the past month. I’m telling you… Dial-Aboard is a big help to covering the cost of the Brigada-sponsored secretary! HOW TO HANDLE TRAVEL WARNINGS — Here’s a Missions Pastor in Phoenix named Jeff who is trying to find out how other churches and mission organizations deal with State Dept travel warnings such as “defer non- essential travel.” How do you deal with church leaders who fear putting short-term teams at risk and protect the church from lawsuits by families should a team member be injured or killed on a trip? Do you have ways to protect the church from the non-Christian relative who might want to sue the church if there was an incident? Email Jeff Jeff(at)fccstriving(dot)com. He’ll share the results with us here later. HELP FOR AWANA CLUBS — One or our greatest mission fields is children. Awana Clubs address this field and now there is help for those working in the local church in clubs: ARK – Awana Record Keeping software to keep track of information on the clubers, their awards, their progress, even inventory tracking of all the supplies. Software is available from Missionary TECH Team for $25 yearly support update service fee. For more information http://www.missionarytechteam.org/Software/index.htm or email JWood(at)techteam(dot)org. [replace (at) with @ and (dot) with .] The web page has additional contact information. Sign up for long distance via a Brigada sponsor today! Save money, help Brigada instead of some big corporation, & get clear signals! HAVE YOU SEEN THE “UPDATED” JOSHUA PROJECT SITE? *** Get a complete picture of the unreached peoples. *** View all people groups for any country. *** View all countries for any specific people group. *** View Patrick Johnstone’s Affinity Bloc and People Clusters. *** Download Joshua Project data in various formats or an up-to-date Powerpoint presentation on the status of World Evangelization. *** View a people profile for any people group on the planet. *** Find specific ministry tool availability by unique linking into other sites to see Language, Scripture, Jesus Film, Audio Recordings and God’s Story resources direct from their producers. *** Submit updates But that’s not all. Read on! MORE INFO AT JOSHUAPROJECT.NET — But wait… there’s more! *** See a global summary and interesting people group facts. *** Try various unreached peoples queries such as the 100 largest unreached people groups, the Adopt-A-People UPG153 groups or all groups smaller than 10,000 and many more. *** View Patrick Johnstone’s Church Planting Progress Indicator (6- level) and his Agency Progress Indicator (6-level) for most people groups. The [top-notch] compilers welcome feedback from anyone regarding the site and its content. In beta-testing these features over the past couple of weeks, I’ve found them to be responsive, passionate about the unreached, and *sensitive* to my questions and input. In fact, one of the key compilers is working totally as a volunteer!!! Another leader there has been with the project since its inception at AD2000. *Very* helpful information. Let’s *use* it! STANDARDS OF EXCELLENCE IN SHORT-TERM MISSION — A group of U.S. mission agencies and short-term practitioners have developed nationally-derived Standards of Excellence in Short-Term Mission (SOE) at http://STMstandards.org (e-mail: rpeterson STEMmin org; phone: 952-996-1385). The seven standards were developed on the heels of similar codes in the UK and Canada. The need for such standards is growing as each year more than one million U.S. volunteers are sent out as short-term missionaries. Churches, agencies and schools can use these standards as a training and assessment tool and can choose to adopt the standards as a way of demonstrating a commitment to excellence in their outreaches. Membership brings professionally structured guidance for achieving goals and an impressive network of organizations offering opportunities for resource sharing, improved training, minimized risk, and mentoring. Members of the steering committee come from Campus Crusade for Christ, YWAM, InterVarsity Christian Fellowship, Reign Ministries, Teenmania, STEM Int’l, Adventures in Missions, Perimeter Church (Atlanta), Taylor University, Northwestern College and many other groups. SYNERGY SUMMIT FOR CHURCH MISSIONS MOBILIZERS — Specifically designed for mission agency staff involved in church mobilization, the two-day “Synergy Summit” program includes training, networking, encouragement and resources. Sponsored by DualReach, the Summit will be held January 15-16, 2004, in San Juan Capistrano, California (south of Los Angeles). Seminars will focus on topics for beginner and experienced church representatives, and special sessions will address the interests and needs of mobilization directors. The registration cost is only $150. For a complete schedule, go to http://www.dualreach.org or send an email to info dualreach org. MISSIONARY MENTORSHIP CONFERENCE CALL — Elijah Company Missionary Mentorship will host a FREE one hour conference call for anyone seeking missions involvement. The call will be on Thursday, December 11 at 8:30 P.M. E.S.T.. The aim of the conference is to provide coaching. Veteran missionaries will share followed by a time of questions and answers. The conference is a lead-in to other training options. Reply to mentorship elijahcompany org for the dial-in phone number, access code and outline of contents. See their new website at http//www.elijahcompany.org for bio¹s and other related info. SPECIAL REPORT ON PHONE & VIDEO CONFERENCING Special web-only feature! SPONSORS MAKE A DIFFERENCE! — Can you believe it? Caught up … after *months* of trailing badly behind! Thanks to the wonderful sponsors who have not only provided funds to hire a Brigada Secretary, but have also provided a strong intangible incentive: “These folks *care*!” We appreciate the anonymous sponsor who sent $30, saying, “Thank you for your good work!”, as well as the other very encouraging partners who wrote, “Hi Doug. I’ve been enjoying the Brigada updates for several years now. It’s great help in keeping up with missions events and topics. I’m now serving with a church planting team in Spain and it’s even more important to stay connected. You are doing a great job and I am happy to be able to contribute to your Secretary Fund!” (Enclosed: Check for $100) Honestly, we dedicate this issue of Brigada Today to those two sponsors because in a very real sense, they are the reason we’re caught up today! For more information on sponsors, click here. SAVE ON YOUR PHONE RATES / HELP BRIGADA — Save on overseas phone calls and help support Brigada – go to http://www.brigada.org/phone.html for more information. YOUNG PEOPLE IDENTIFY OBSTACLES TO MISSIONS — Here’s a new book release, “Scaling the Wall”, by Kathy Hicks of OM USA. At the Urbana 2001 Missions conference hundreds of college students were posed the question, “What is keeping more people from becoming involved in the great commission?” Their fears were written on a large wall and later collected, compiled and categorized. Fears such as loss of friends, loss of money, disapproval of parents, inadequate experience surfaced as common obstacles to be overcome. In this brand-new book, missionaries, from many organizations and from around the world who have experienced these same fears, share their personal stories of how God overcame and met their needs in ways they could have never expected. The distributor, Gabriel Resources, offers discounts on books to individuals, missionaries, mission organizations and churches. Email order omlit om org or call 1-8MORE-BOOKS (1-866-732-6657) toll-free in the USA & Canada or 706-554-1594. THE WORLD OF STREET CHILDREN & HOW TO RESPOND — Here’s another new release entitled, “Street Children,” by Andy Butcher. In it, he documents an estimated 100 million Children spend their days on City Streets around the world, 10 million of these are totally on their own, uncared for and unprotected. He cites 4611 children and adolescents that were executed in Brazil between 1988 and 1990. These frightening statistics are just a snapshot of the plight of street children in the world today. The result of extensive research, this book combines hard statistics with individual stories to challenge our indifference and awaken our conscience. Andy Butcher’s newly updated book compares the situation facing Street Children today with that epitomized in the Dickens novel Oliver Twist. Frighteningly, he concludes that if we look at a global perspective, little progress has been made. Gabriel Resources offers discounts on books to individuals, missionaries, mission organizations and churches. Email order omlit om org or call 1- 8MORE-BOOKS (1-866-732-6657) toll-free in the USA & Canada or 706-554- 1594. HOSPITALITY FOR THOSE WHO SERVE — ServantCARE http://www.servantcare.com is a ministry that cares for those who serve, and they’ve been establishing “Hospitality Homes” around the world for those who serve while they travel, whether for ministry, or on furlough. To date they have “Hospitality Homes” in 16 states and 11 countries, but need more, especially in the United States. The goal is to have five locations in the N., S., E., W., and Central part of each state. They would like more volunteers to serve as a B & B, or to do exchanges. Please let Christian friends know of this opportunity to serve. For information contact Anita at ap servantcare com . They also have a home in S.E. Alabama that serves as a retreat center for individuals or couples in need of rest and refreshing. TESOL SCHOOL: PREPARE TO TEACH ENGLISH — Teaching English opens many doors to ministry throughout the world, but it takes some training to teach English well. Youth With A Mission in Lebanon, Pennsylvania, USA has scheduled the next TESOL school for January 18 to February 13, 2004. 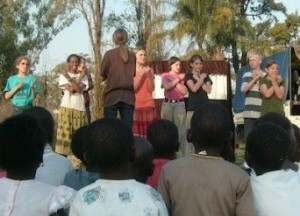 For information, see the website: http://www.ywampa.org, or e-mail to ywampa comcast net . ESL-JOBS.COM — This is a new website to mobilize Christians to take real jobs teaching English as a second language in Asia. These are now being filled by secularists and Mormons. These are first of all ministry positions, but they also offer income. Finishers Project partner organizations are placing applicants with real employers. There are many partial support and missionary assignments as well. Successful applicants must speak English as a first language and have a college degree. Help mobilize our own to represent Jesus in these spiritually needy countries. Visit http://www.esl-jobs.com and commend it to your friends, especially those in their 20s and empty-nesters. SPECIAL REPORT ON PHONE & VIDEO CONFERENCING — Here’s the special report on phone and video conferencing from Andrew Steele, a Senior Assoc. with International Christian Media Commission in the UK. Thanks Andrew! First of all for video conferences (and quite often audio only links) everyone involved needs a broadband connection. Although most services claim to work on 56k dial-up modems our experience was distorted sound and vision unless a broadband link was present. Sometimes audio worked OK but video without broadband was never successful. We also found a few commercial providers whose rates were prohibitive for regular use. We are still convinced that we can find a combination of tools that will do what we need but are resigned to the fact that, so far at least, those part of the world without broadband Internet will be limited in their ability to link up. That means we’re sticking with our tried and trusted methods of connection so that all our contacts can participate regardless of where they are and only use the ip based technologies when we are sure that everyone can link up.